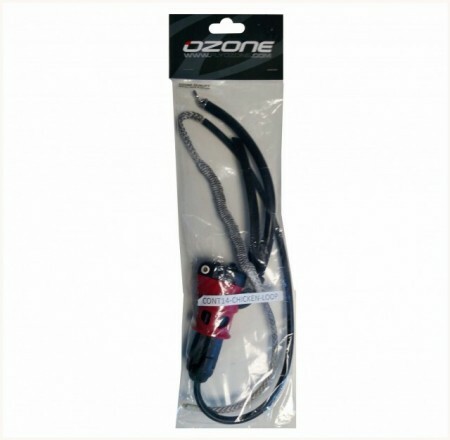 Kitemare-Surf & Kite Shop / SPARE PARTS / Ozone Parts / (01) Ozone 2014 Push Away Chicken Loop. Contact Water Bar. 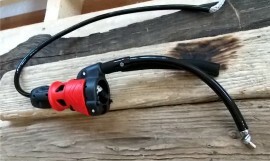 A replacement bar trimmer line (De Power Line) and push away chicken loop complete unit for the 2014 Contact Water bars (Not C4 or Race Bars). Can be fitted to older Contact Water Bars too. 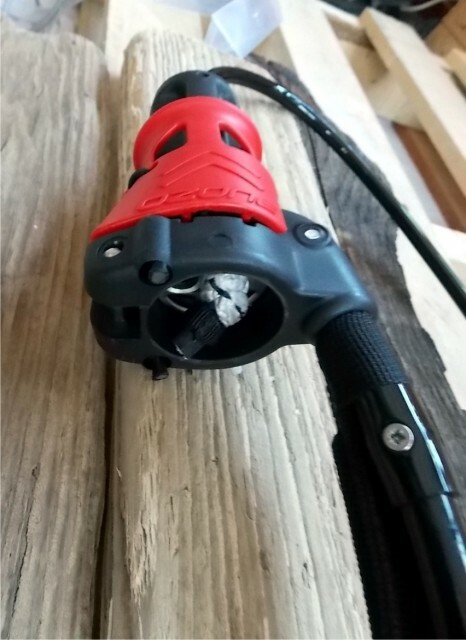 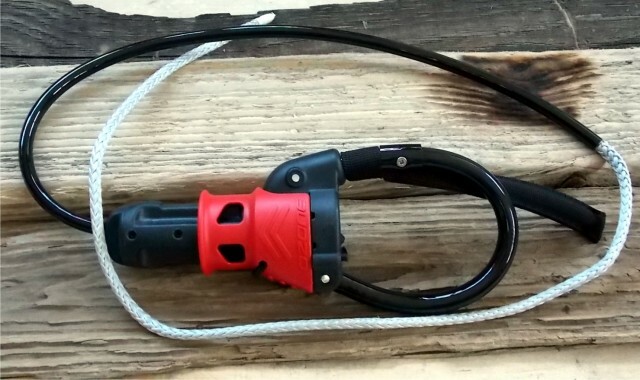 This is the whole unit and attaches through the clamcleat then the Dyneema rope goes around the Trimmer Bracket and through the cleat to become the de power rope. 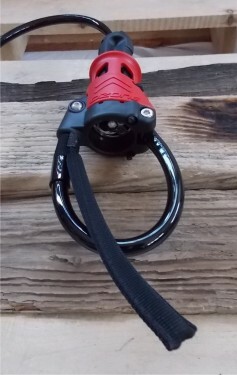 Chicken loop with new push away quick release with a swivel and pre attached PU covered De Power rope 46cm with a further 62cm of Dyneema rope for the de power through the cleat. Fairly easy to change and will work on other bars too. NOTE:- If upgrading older bars (easy to do) you will also need a new 2014 Safety Flag Out Line For Contact Bars and 2014 Flag Out Safety Ring With Swivel.